In the first 5 seconds, the pupil dilates by about 50% of its original area and heart rate increases by about 7 beats per minute. This is as hard as people can work—they give up if more is asked of them. System 2 protects the most important activity, so it receives the attention it needs; “spare capacity” is allocated second by second to other tasks. In our version of the gorilla experiment, we instructed the participants to assign priority to the digit task. We know that they followed that instruction, because the timing of the visual target had no effect on the main task. If the critical letter was presented at a time of high demand, the subjects simply did not see it. When the transformation task was less demanding, detection performance was better. We learned a great deal about the working mind—which I now think of as System 2—from measuring pupils in a wide variety of tasks. “law of least effort” applies to cognitive as well as physical exertion. The law asserts that if there are several ways of achieving the same goal, people will eventually gravitate to the least demanding course of action. In the economy of action, effort is a cost, and the acquisition of skill is driven by the balance of benefits and costs. Laziness is built deep into our nature. 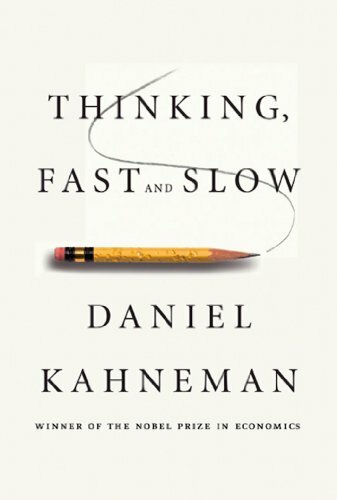 The most effortful forms of slow thinking are those that require you to think fast. Even in the absence of time pressure, maintaining a coherent train of thought requires discipline. An observer of the number of times I look at e-mail or investigate the refrigerator during an hour of writing could reasonably infer an urge to escape and conclude that keeping at it requires more self-control than I can readily muster. Flow neatly separates the two forms of effort: concentration on the task and the deliberate control of attention. Riding a motorcycle at 150 miles an hour and playing a competitive game of chess are certainly very effortful.